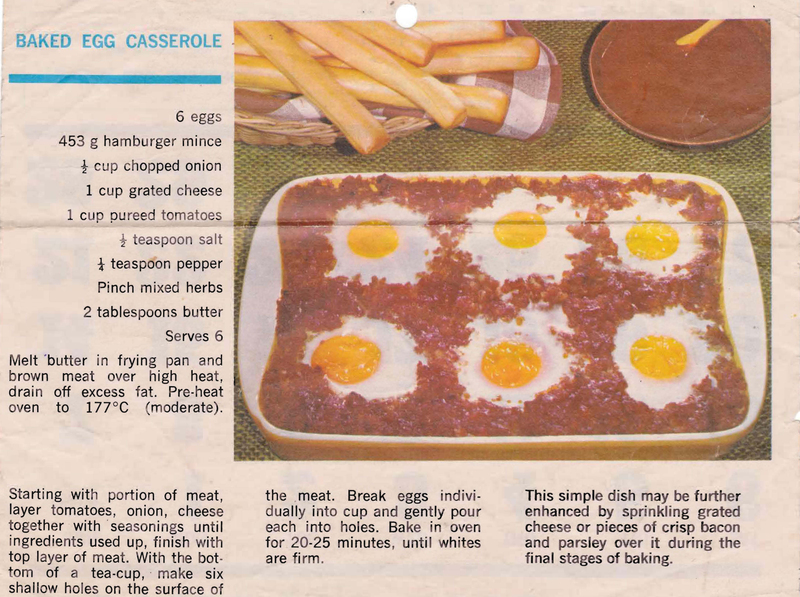 You can tell that this is a ’70s recipe by the picture. It doesn’t look particularly appetizing I’ll admit, but when you realize that it’s just a bolognese sauce with eggs on top it makes more sense. I’d definitely be sprinkling the grated cheese and bacon on top though as that might make it look a bit better. This entry was posted in All Recipes, Beef, Main Dishes and tagged 1970s, baked egg casserole, eggs, mince steak, savoury mince with eggs by bebsrecipes. Bookmark the permalink.